The Obama administration is pressing hard for Israel to give up the strategic Jordan Valley in a deal with the Palestinians, a senior Palestinian negotiator told KleinOnline. The current round of U.S.-brokered talks is attempting to hash out the specifics of a plan for the valley. Obama’s proposal calls for international forces to maintain security control along with unarmed Palestinian police forces, the PA negotiator said. Israel will retain security posts in some strategic areas of the Jordan Valley, according to the U.S. plan. Previous talks incorporated an element of Jordanian authority in the Jordan Valley, but the Kingdom of Jordan is suddenly weary of participating in a future Palestinian state, the negotiator said. The Palestinian negotiator pointed to the insurgency in Syria and changes of leadership in Egypt for Jordanian reluctance over assuming any security control over Palestinian areas. The negotiator, meanwhile, said Secretary of State John Kerry is urging an all-encompassing final status deal on the Jordan Valley, West Bank and sections of Jerusalem, including the Temple Mount. Israel, on the other hand, would rather have an interim deal to ensure the Palestinians keep their side of the bargain, according to informed Israeli diplomatic sources. 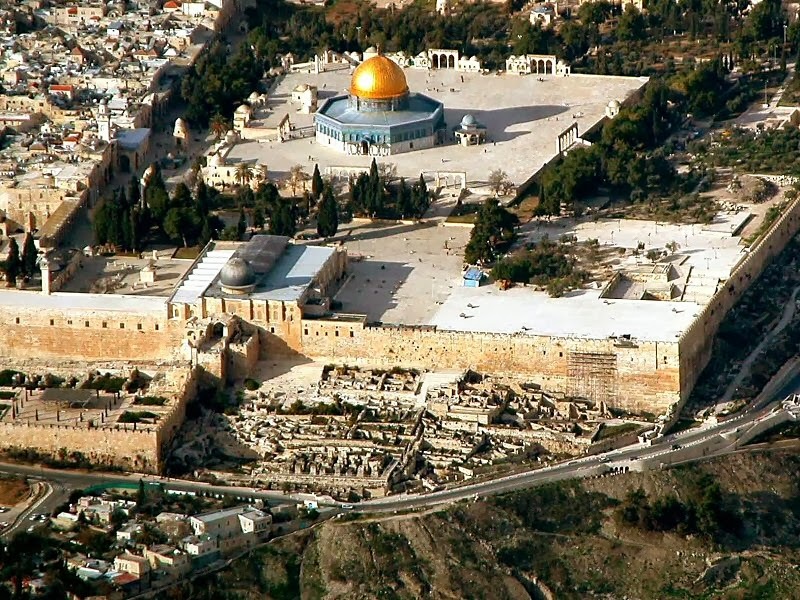 KleinOnline first reported in July the terms of the Obama administration plan in which the Palestinian Authority and Jordan will receive sovereignty over the Temple Mount while Israel will retain the land below the Western Wall, according to a senior PA negotiator. That plan remains in effect as the basis for negotiations. Israel has not agreed to the U.S. plan over the Temple Mount, with details still open for discussion, stated the PA negotiator. The negotiator, who is one of the main Palestinian figures leading the Arab side of the talks, further divulged Kerry's proposed outline for a Palestinian state as presented orally to Israel and the PA. He said Jordan has been invited to play a key role in the discussions surrounding both the Temple Mount and Jerusalem while it will be the PA, with some Jordanian assistance, that would ultimately receive control of some of those areas. 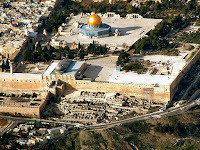 KleinOnline was first to report in 2007 that Jordan had been quietly purchasing real estate surrounding the Temple Mount in Jerusalem hoping to gain more control over the area accessing the holy site, according to Palestinian and Israeli officials. Meanwhile, regarding the rest of Jerusalem, Kerry's plan is to rehash what is known as the Clinton parameters. That formula, pushed by President Bill Clinton during the Camp David talks in 2000, called for Jewish areas of Jerusalem to remain Israeli while the Palestinians would get sovereignty over neighborhoods that are largely Arab. Most Arab sections are located in eastern Jerusalem. KleinOnline previously reported the Palestinians are building illegally in Jewish-owned areas of Jerusalem, resulting in Arab majorities in some neighborhoods. When it comes to the West Bank, which borders Jerusalem and is within rocket range of Israel's main population centers, Israel is expected to evacuate about 90 percent of its Jewish communities currently located in the territory, as outlined in Kerry's plan. Israel would retain strategic security posts along with the West Bank’s main blocs, Maale Adumin, Ariel and Gush Etzion. In return, Obama is calling for an exchange of territory with the Palestinians in other locations inside Israel, with discussion being open for the Palestinians to possibly receive land in the Israeli Negev in the country’s south. The PA negotiator further said Israel rejected a Palestinian request that Prime Minister Benjamin Netanyahu agree not to place the final peace plan up for referendum in the Knesset. The negotiator warned that one of the toughest issues centers on control of water, with Kerry already reaching out to Turkey about the prospect of selling water at a cheaper rate to a future Palestinian state.